Are You Prepared to Care for a Senior Going Through Cancer? - All Care Hawaii. LLC. Are You Prepared to Care for a Senior Going Through Cancer? Finding out that they have cancer is a life-changing moment for your elderly parent, but it can be for you as their family caregiver as well. When you learn that your senior is at the beginning of a journey with cancer, you know that your responsibilities and obligations for them will be changing as well. You will need to help your parent make a variety of challenging decisions and be there for them to give them the care that they need as they deal with the effects of their disease. It is critical that you ask yourself if you are prepared for this experience. This can help you to identify challenges that you might be facing or changes that you might need to make in your approach to help you be the best caregiver possible for your senior. • Empowering your parent to make decisions. Your responsibilities begin right from the beginning of your parent’s journey. It is critical that you help empower your parent to make the decisions that they will need to make as soon as they learn that they are suffering from cancer. You need to be prepared to respect that these are your parent’s decisions to make and to support them in what they decide, even if they go against what you believe they should do. • Handling the emotions of the journey. You will experience a wide range of emotions when you are watching your parent go through cancer. These can range from frustration at feeling as though your parent is not doing what they should be to take care of themselves, to sadness at the thought of your parent’s mortality. You must be prepared to experience these emotions and handle them in a healthy, effective way. • Providing physical support. A senior dealing with cancer, especially one who has chosen to pursue aggressive treatment, will likely need more physical support and assistance. You must feel confident that you have the physical ability and the emotional willingness to handle the care that they need in this situation, which might include more sensitive tasks than before. If your aging parent is suffering from a serious health complication such as lung cancer and you have been trying to find ways to help them handle their condition, stay healthy and safe, and maintain the highest quality of life possible, starting home care may be the ideal choice. 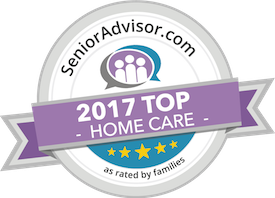 An in-home senior care services provider can be with your elderly parent to fill in any care gaps that might exist in the efforts that you give to them. This means that if you have any challenges or limitations that keep you from being able to fulfill all of your parent’s needs effectively and efficiently, you can feel confident knowing that the home care provider is there to handle these tasks with your senior. Whether your schedule is too busy to keep you in your parent’s home as often as you would want to be, you have physical limitations that keep you from being able to give them the physical assistance that they need, or you have emotional limitations that prevent you from being able to handle specific tasks, your parent will still get everything that they need. This helps to keep them happy, healthy, safe, and comfortable while preserving your relationship, your health and well-being, and your parent’s quality of life. Have questions about elder care in Kahala, HI? Contact the caring staff at All Care Hawaii today. Call us 24 hours a day, 7 days a week!